Samsung Galaxy A8s (SM-G8870) images have leaked today on TENAA three days ahead of its official launch in China. It will be the first phone to arrive with in-screen camera hole design that will allow the smartphone to deliver a very high screen-to-body ratio. The display design as well as the rear appearance of the phone can be seen in the images that have surfaced through its TENAA listing. 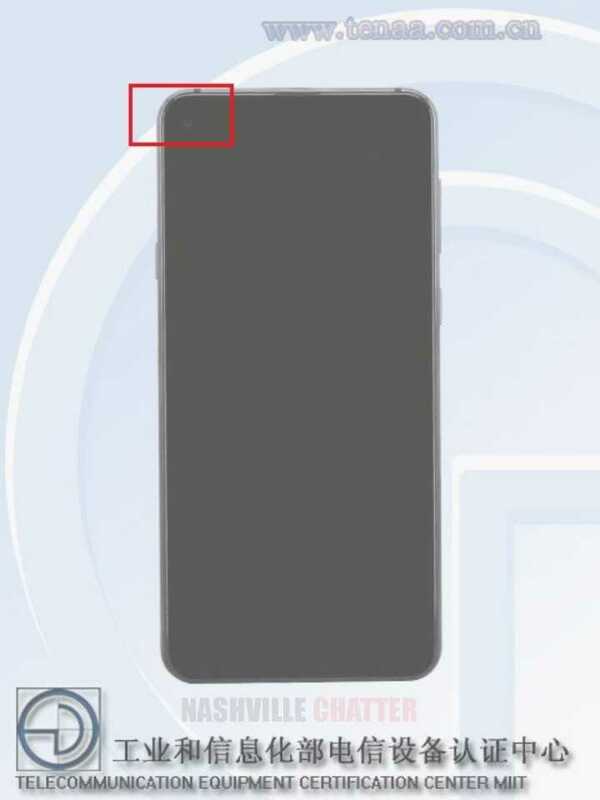 The SM-G8870 Galaxy A8s smartphone that has appeared on TENAA is yet another confirmation that shows it is equipped with in-display camera hole on the top-left corner of the screen. This is not clearly visible from the TENAA images but we can get the clear view by slightly altering the brightness of the photograph as seen below. The rear side of the phone features a triple camera unit that may include an RGB sensor, a telephoto lens and a wide-angle sensor. An oval shaped fingerprint scanner resides on the glass back of the Galaxy A8s. The side view of the smartphone reveals a camera bump. The glass rear seems to be curved towards the edges. And also, it is equipped with a gradient color appeal. The entire specifications of the Galaxy A8s is yet to appear on TENAA. The minimum specs that has cropped up on the Chinese telecom authority website reveals that the handset measures 158.4 x 74.9 mm. It sports a slim profile of 7.4 mm thickness. The handset features a 6.39-inch display that will probably carry support for full HD+ resolution. The device receives power from 3,300mAh battery. Rumors surrounding the Galaxy A8s claims that it will be fueled by Snapdragon 710 and 6 GB of RAM. It may feature 24-megapixel selfie camera and on the rear it is expected to house 25-megapixel + 5-megapixel + 10-megapixel triple camera unit. The Samsung Galaxy A8s smartphone has been also certified by the Federal Communications Commission (FCC) in the U.S. which indicates that it will be also available outside of China. Rumors have it will be announced in other markets in January. There is no information available on the pricing of the Galaxy A8s.